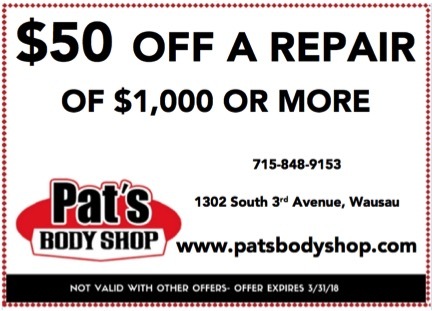 Virtual Vision launched coupons for Pat's Body Shop. Virtual Vision launched coupons for Pat's Auto Body on the WausauCoupons.com website. Get your repair for $100 off your deductible or a $50 discount.